Why have just one succulent when you can have many? It’s easy to grow an entire garden of these plants when you propagate them from leaf cuttings. Leaf cuttings are easier than they look, and it is very satisfying to see the young plants growing from the old leaf. There are a number of succulents that can be propagated easily this way: Gasteria, Haworthia, Sansevieria and plants of the Crassulaceae family (Crassula, Kalanchoe, Sedum, Graptopetalum). The easy way is just to get a leaf. Let the cut dry out in the shade for a day to a week, and just place them on top of the soil. Do not bury or semi-bury into the soil. The roots will find their way into the soil on their own. The soil should be well drained. If you need to improvise good growing soil, mix half well-rotted compost with half fine pumice or grit. You can expect to see a change in the leaf after 3-4 weeks and the young plants will take a season to develop into new plants. The leaves need water at some point but only a light sprinkling. 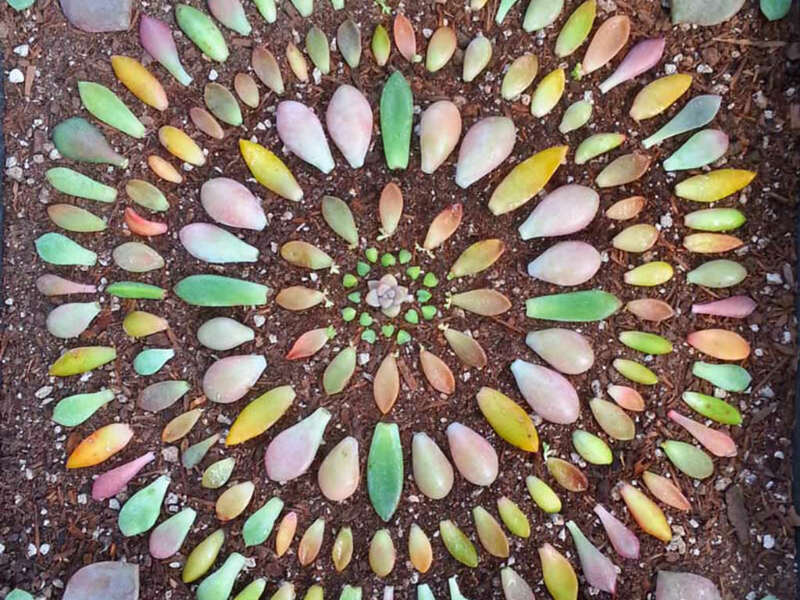 While “grown-up” succulents only need to be watered every week, or even once a month (depending on the season/heat), the leaves need to be watered constantly without being watered too much. Only water the soil after it is dry. The temperature is an important factor. Succulents of the Crassulaceae family will root better in the fall, and in late winter/early spring. They will generally not root in the summer, but rather slowly dry out, or rot. The rule of thumb is that the leaf cuttings has chances to grow only if the parent plant is actively growing.